Visiting Vlora, means to know the half of the history of Albania. So, be prepared to put every fact in your mind and to not forget it. Vlora is situated in the south-western part of the country, in a charming region by the seaside. 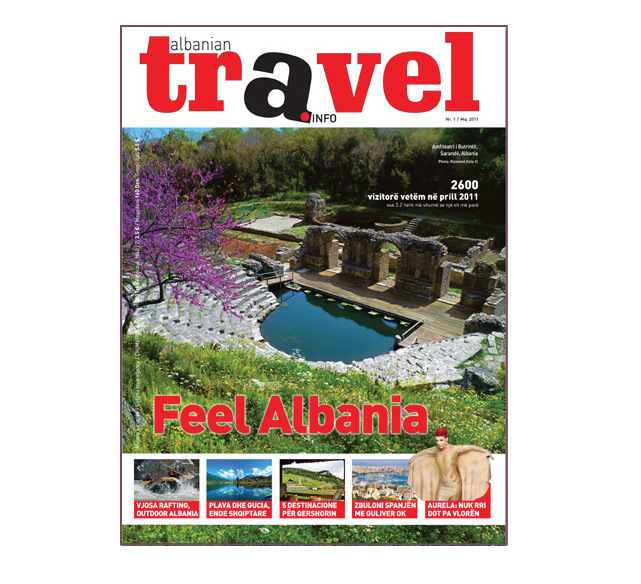 It is one of the most beautiful cities in Albania. It lies close to both sandy and rocky beaches with mountain peaks as a backdrop. Facing the city, is the peninsula of Karaburun and the island of Sazan. A marvellous pearl among the Adriatic and Ionian sea, Vlora is a continuing temptation to visit its rigid and attractive coasts. This magic city lastly is the destination of many and many tourists whitch want to know about it and to enjoy its mystic coasts. In ancient history Vlore was called Aulona. It was noted by many travelers and foreign chroniclers, as one of the main port cities of the southern Illyrian region, which flourished, in importance only behind Apolonia and Orikum. “The name of Vlores is one of the least well know geographic names of the eastern coast of the Adiatic that has remained since the ancient times. 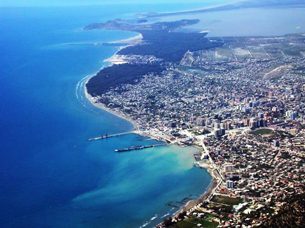 The city is on par with Durres, Shokdra, Lesha, and Ulqin, as one of the most important and ancient cities of Albania. Amantia was founded in the fifth century BCE and is one of the smaller southern Illyrian cities, is over 1000 years old and has many old mountain buildings and ancient antique stadiums built with large stone blacks. South of the city of Vlore is found the city of Orikum, which is the most ancient port on the coast of Vlore, and was founded as a residential area in the fourth to fifth century BCE. The last archeological excavations in Kanina and Himara have given other evidence for the continuity of Illyrian culture through late antiquity and the middle ages.The Arianit Family has played large role in the political, military and society of Vlore, most notably in the 11 th Century with the first of the Arianitas, Komnen Golem Topia, until the 15 th and 16 th centuries. A noted individual of the 15 th century was Gjergj Arianiti, who organized the resistance against the Ottoman regimes in 1431-1432, in the mountains of valleys of Laberia. According to legend Gjergj Arianit was revered through out Europe. He allied himself with the Albanian hero Gjergj Kastriot Skenderbej, when Skenderbej married his daughter Donika, though Arianit remained independent in the South and middle of Albania. In the assembly of Lezha, on March 2, 1444, to face the dangers of the Ottoman occupation, Gjregj Arianiti stood by the Albanian rulers in their national campaign. Through out the centuries Vlora has been known as an important patriotic heart of Albania, and the struggles for freedom, independence and prosperity have been in the spirit of every Vloniat. In the years 1908-1912 the club “Laberia” made a burning hearth for the struggle for independence and against the Young Turks. The head of this club was Ismail Qemali. But the most important incident in the city of Vlora was the one that happened on the 28 th of November 1912, when the sage and diplomatic old man, Ismail Qemali, together with other Albanian delegates from around the country, declared the independence of Albania and at the same time raised the national flag in Vlore. Vlora as Shkodra, is a city with a rich history since in the ancient times. Many personalities of Vlora have given to the country their patriotic contribute. They are heroes already, because of their life given for the country. In the centre of the city, rises the “Monument of Independence” in celebration of this historic event. Close by, lies a very interesting sight, the Mosque of Muradie, built in 1542 from the famous architect Sinani (who also built the Sulejman Mosque in Istambul). One proud point of Vlora is the “Kuzum Baba”, the highest point of the city, which offers a wonderful panorama of all Vlora and surrounded, with the sea in fron of. To the north of the city, lies the lagoon of Narta, the second largest in Albania. Nature lovers would find a place according to their hearts. The lagoon is rich in fish and seafowl and has a high salt content. Because of it, has been used since the medieval times as a source of salt. The villages of Narta and Zvërnec, well known for their artisan production of wine, are close to shores of lagoon. So people can injoy the fresh fish and the home-made wine, healthy. Being there you can visit the monastery pf Zvernec. Vlora enjoys an especially favourable geographic position as the entrance to the Albanian Riviera and is a pearl for the tourist destinations in the country. We start from the point called “Uji i Ftohtë” because of an everlasting fountain of cold water, and pass the tunnel which is the natural border between Adriatic and Ionian Sea. There begins the road to the Albanian Riviera. 10 km from Vlora, Radhima is a village where many luxurious and picturesque hotels are waiting for the visitors who want to spend holidays in Vlora. 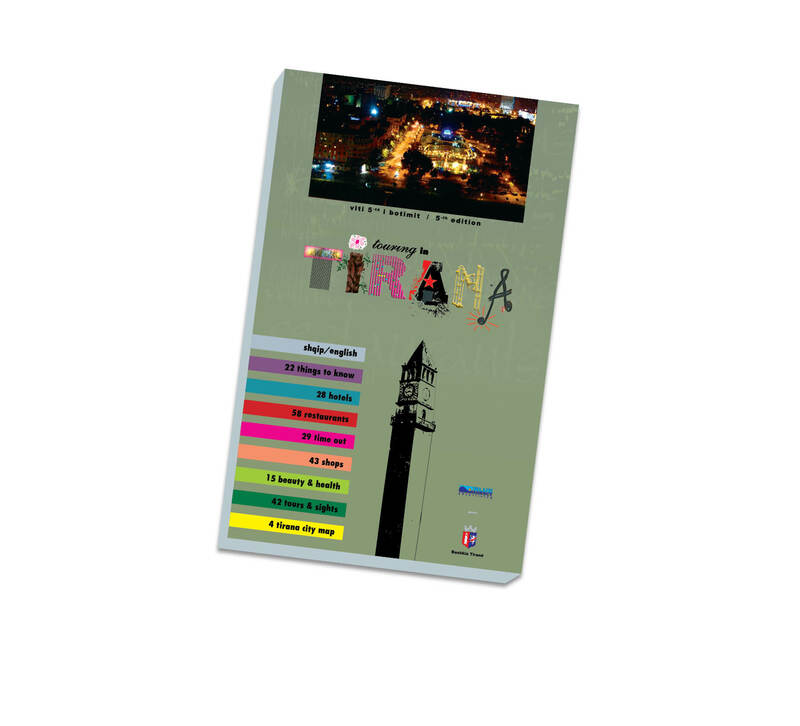 We will show you most of them in the following pages. Leaving the city behind and driving towards Saranda, we reach the Llogara Pass and the National Park, covered by dense pine-woods. Close by, there is a tourist village about which we will show you more on the following pages. Llogara is an ideal site for sky sport such as parachuting, delta plane flights etc. It is well known as a venue for European tournaments of various types of sporting events. Llogara is also the rare place maybe in the world, where the clean mountain air marries the warmth of the sea. In a small island facing Zvërnec, there is the Byzantine church of Saint Mary, built in 14th century. The island is covered by dense Mediterranean vegetation. Together with the cape of Triport, it makes for a very attractive natural sight. Not far from the city, in a dominant point of the terrain, is the Castle of Kanina, in the village of the same name. It belongs to the 3rd century B.C. and has been the property of the tribe which grown up Donika, the wife of our national hero, Gjergj Kastrioti, Skënderbeu. Vlora is well-known not only because has given many heroes and warriors to the country but because habitants of the villages of Vlora are almost all, singers. They cultivate a very special gender of music, the characteristic folk and nobody else could sing it as they do. The polifonic groups of Vlora are unique in all the world. Lastly, the “Polifonia labe”, (so is called the characteristic folk) is part of the 50 spiritual riches of the world. Another fact which makes Vlora famous, are its olives rich of oil. You can taste the oil made from the factories but with no doubt, the best kind, is the home-made. The accommodating structure of Vlora is luxurious and offers a very high standard of service. Mostly hotels and less residential apartments are offered in very comfortable conditions. As all the rest of Albanian accommodating structure, even in Vlora every thing is built in the last 15 years, so the furniture and the technology of the hotel is almost new. Vlora really is a strange city because at the same restaurant you can taste the mountain and the sea cuisine. You may taste the fresh fish, the seafood, as well as the lamb in a spit. In the restaurants of Vlora it has a unique taste because of the growing area, full of iodine and salt which comes from the wind of the Ionian sea. It gives a very special taste to the lambs. You can exercise all the kind of water sports, air sports and go to the mountains too. Long and short trips, parachuting, diving, trekking, sailing around the large area, are the most important activities that Vlora offers for the vacationers and not only in the summer. There are different companies in Vlora who organize water sports, air sports and other activities. They offer assistance in diving, exploring the waters of the two seas of Vlora. 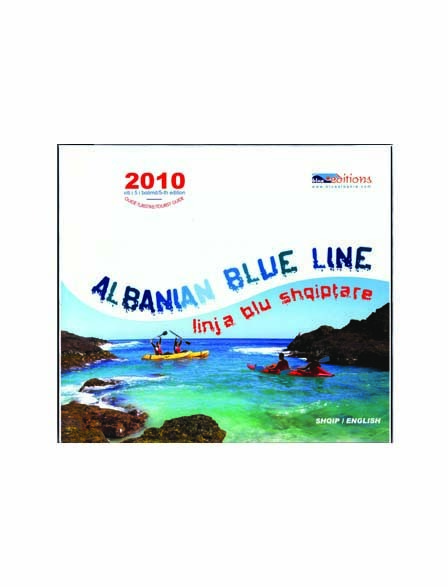 So you can go to the “Ekspedita Blu” to experience the adventure of the waters of contact with Outdoor Albania, an operating group in whole Albania. In Vlora during the spring, when is declared opened also the tourist season, is organized a very important activity, Albania Open. Also in individual way, you can exercise water sport as surfing, riding water-motors and make a long daily trip to the beaches of Karaburun Peninsula, which offers unlimited possibilities to explore the caves and the rocks of the peninsula, the underwater world too. At the National park of Lllogora, you will find out runaways to explore the rich flora and fauna of the deep forests of the park. For the climbers as very possible to conquer the peaks of Çika mountain, and to feel like a God, on the top of the world, enjoying the magic panorama of the sea, mixed with the rocks and the pine-trees. 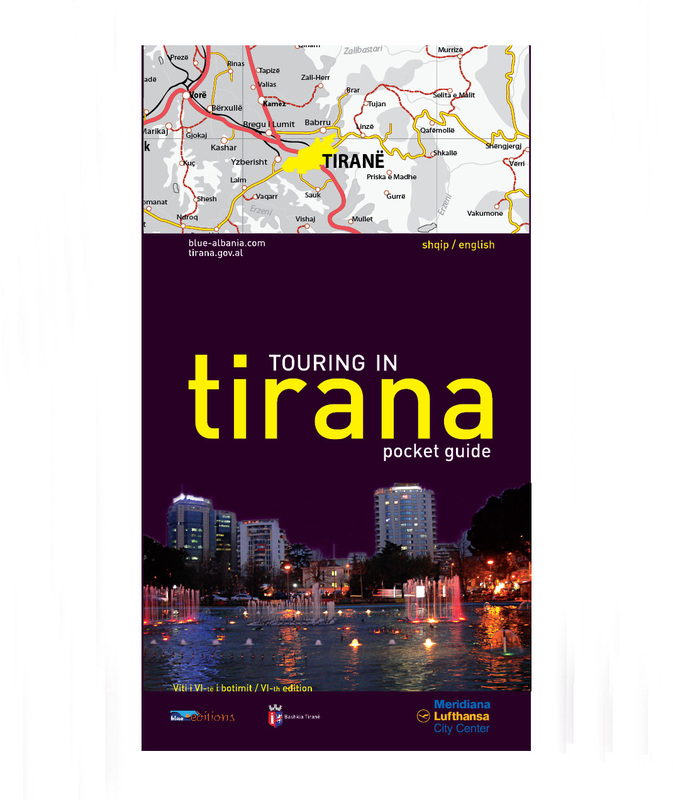 About the night life, different clubs and discos organize big concerts or shows where Albanian and foreign singers sing live. We can mention Bliss Club, Summer Depo, Mojito, etc. Coming to Vlora you will make a wise choice, because is a place which must be visited and remembered. Discovering Vlora, you will see outside a very severe rocky place but entering inside you will remain allured from everything, from the nature, from people from strange and tasteful food and maybe will be difficult for you to come back. Vlora is a magic city, mostly you will be amazed from the inhabitants, which are sunny people, dynamic and funny, very hospitable, a little bit impulsive, but sincere and shining nature. 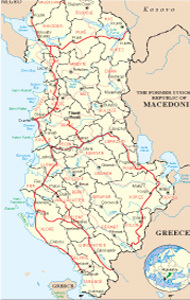 The district of Vlora includes a very large zone of Albania inside of which lies also the Albanian Riviera. Two national parks and many natural preserves are included at the natural attractions of Vlora, which offers to you 48 monuments of nature of three categories. The adventure tourism is guaranteed after you have visit at list the terrace of Kuzum Baba, the terrace of Cold Water, the cave of Grama, Haxhi Alia in Karaburun, the caves of Lepenica, the peak of Çika mountain, the canyon of Gjipe, the Flag Pine in Llogora, etc. The importance of Vlora district is in the fact that it offers big potentials for the blue and green tourism. At the Llogora national Park you can exercise the white tourism as well. Situated at Vlora district high diversity of landscape, very important for the mediterranean area. 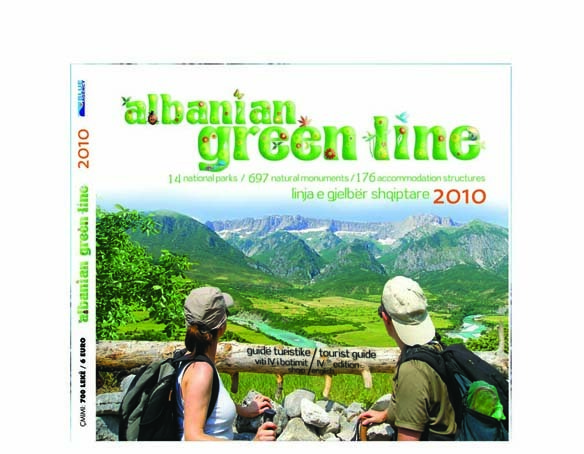 Alpine and subalpine, meadows, pine forests (Pinus nigra) and Pinus peuce, Pinus leucodermis, firs of Macedonia (Abies borisii-regis), Quercus coccifera,Q. macrolepis, typical Mediterranean signs, typical flora of marine rocks, ligatines and alluvial runes, very expressed. It is a very rich area with a developed marine a terrestrial flora and fauna. At the marine waters we meet the dolphins (Delphinus delphi dhe Tursiops truncatus), and a lot of other types, protected from various convents. At the marine waters of Karaburun Peninsula we meet the Mediterranean seal (Monachus monachus), one of the most are types at the wolrd , in danger to disappear. Area of endemic and subendemic plants and rare types as Taxus bacata, Ceratonia siliqua etc. High potential area for the development of tourism and eco-tourism. The National Park, joined Sazani Island too. It would bring the development of massive underwater tourism as one of the richest area with this kind of flora and fauna. Until now, different professional groups, organize diving expeditions for amateurs and professional lovers. Situated at Vlora district, at the northwest side of the big city. Very rich zone of ligatines, wet lands and water birds. We meet typical Mediterranean flora of the salty lands as at the delta of Vjosa River. Narta is the second big lagoon of the country for the water birds and this fact puts it at the list of protected natural reserves. 20 000 winter birds which includes 40 types. Food source for the curly pelican (Pelicanus crispus) and commune shelter for flamingos (Phenicopterus ruber). Around the lagoon grows a very rich flora and fauna, typical of the Mediterranean ligatines. The area of Zvernec is famous for the coastal attractions mixed with the cultural and traditional richness which compose a high potential for the development of tourism. Inside of Narta Lagoon lies the island of Zverneci, very famous for the old monastery, which expresses the cultural values of the zone. 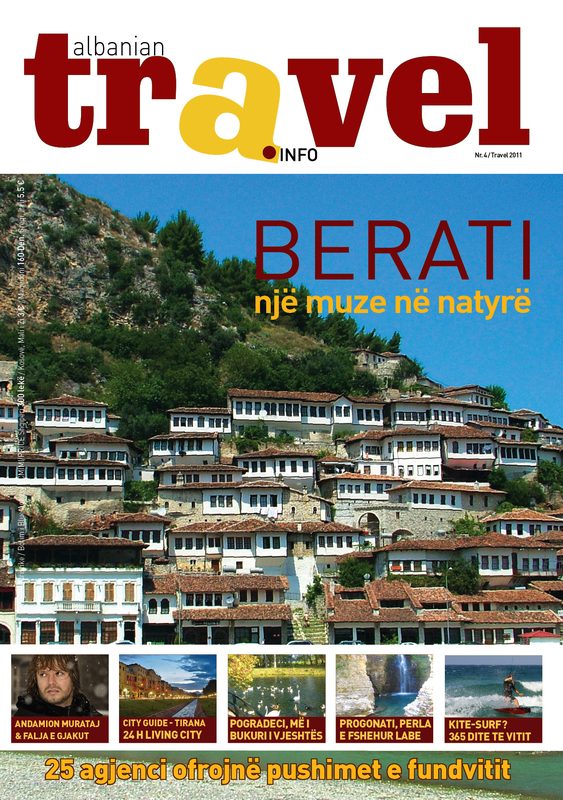 About the food and accommodation, Narta is famous allover Albania for the wine which comes from the healthy wineyards of the fields of Narta. 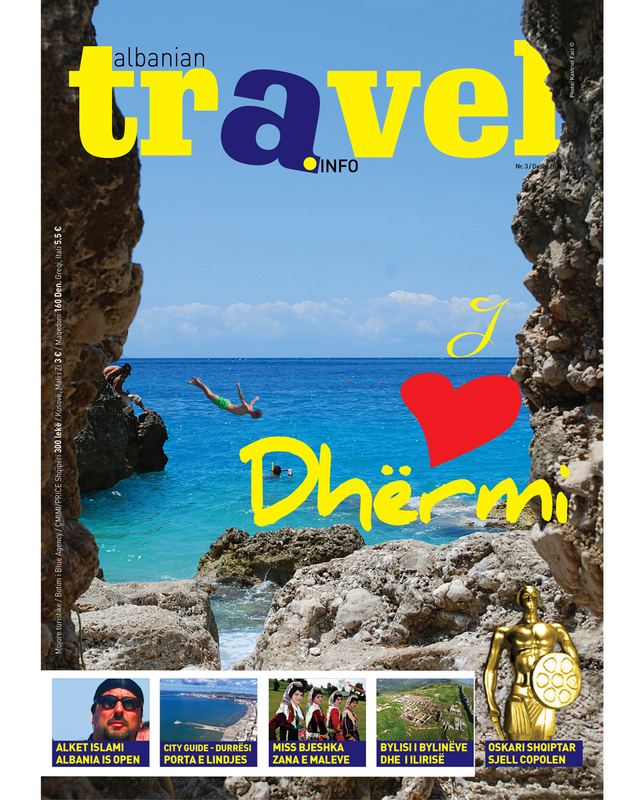 Is situated in the region of Vlora, about 40 km in south- east of Vlora on the border between Adriatic and Jon seas. It’s altitude ranges from 470 to 2018m. Near the Pass of Llogara we met trees and interesting crown shapes, resulting from the tides of wind. An astonishing example of it is “ Pisha Flamur” (Flag Pine), a rare monument of nature with scientific and tourist values. This park offers a fine an attractive landscape and characteristic areas with dominant points. The park of Llogora has a significant importance both as a tourist destination and as a transit bridge to the Ionian coast. It is a climatic place because here are lively mixed both mountain and marine fresh air. The summer is fresh and almost sunny and the winter is windy and almost snowy. Its vegetation consists mainly of such conifers as the black pine and ash-tree. The plants that grows are mostly Mediterranean and the rock’s kind. There are many old trees, very important for the eco-tourism. The fauna of the park is very rich. Here grow the roe, the grouse, the eagle, the squirrel, the rupicapra, the lutra lutra etc. Llogora has a great potential for the development of eco-tourism. You can organize different sports, as trekking, climbing, paragliding etc. You can go for excursions or picnics. The hunting and camping are aloud only in appropriate areas, asked before from the authority of the park. The Flag Pine (Pisha Flamur), 900 m on the sea level, 20 high, the diameter is 75 cm and is 100 year old. Can be visited on the road Vlorë-Llogora-Palasë. The cave of Shengjergji, situated in the mountain of Cika, near of the village of Terbac. Karstic cave, 100 m long and 3-4 m high and wide. There are voices that the cave has been used from Teuta,the queen of Illyricum . Can be visited going to the road Vlorë-Kotë-Tërbaç. The wrote cave of Lepenica, near of the village of Lepenica. Its walls are wrote with different designs from prehistoric times. Can be visited going to the road Vlorë-Kotë-Lepenica. The cave of Haxhi Alia, in Karaburun peninsula, between Gjuheza and Golloveci horn. It is 30 m long and 10-12 m high and wide.Can be visited only by the sea, from Vlora, to Gjuheza horn. If you come to visit Llogora Park, you should not lose the possibility to taste the king of the traditional cuisine of the zone. We are talking about the lamb in spit. This kind of food has a special flavor in this zone, because of the salty land, rich with iodine. Also other aliments, as the sheep’s yogurt, olives, the honey and the wine of the zone, is good to be tasted. A lot of small and big restaurants will offer you this and more, starting from Llogora Pass and going on, near of Palasa and beyond. The accommodation’s possibility are a lot too. You will find numerous hotels, with very good conditions. We can say that the most famous accommodation structure is Llogora Touristic Village, which offers to you a modern an luxurious structure. Kusum Baba marine terrace. Situated in the eastern part of the city of Vlora, on the Kusum Babai hill, about 30 m above sea level. It is small known marine terrace. Its length exceeds 200-300 m. It can be reached there the Kusbabai Tekke. Coral barriers of the Devil's Throat. The coral habitat is between Karaburun and Sazan and in depth of about 10 m. in the island of Sazani. The cliff of Sazani. Falling directly into the sea, forms an active cliff with length od several hundred meters, altitude of 100-120 m. The walls have cracks, holes, and possibly karst caves. To the island of Sazan. The scaling of Çikës mountain. Well expressed in the foot of the mountain range near the rural road to Dukat. It is a tectonic break, which is expressed in the form of a scale with height of 2-8 m. Vlorë-Llogora itinerary. 7. Active scaling of Dukat. 300 m from the rural road in Village Dukat. Constitutes in a rare geological phenomenon, cutting and shifting the river terrace 4-5 m.
The Termination of new active of Llogora. Near the village of Dukat in South-roadside trenches. There are hundreds meters of exit surface. Vlorë-Dukat Fushë-Llogora itinerary. The earth dunes of Vuno. Represent the degraded landscape in Quaternary clay, 10-15 m thick and red, arrived from the heights. Are formed by erosion, the intensifying damage of the human factor, vegetation damage, fires. 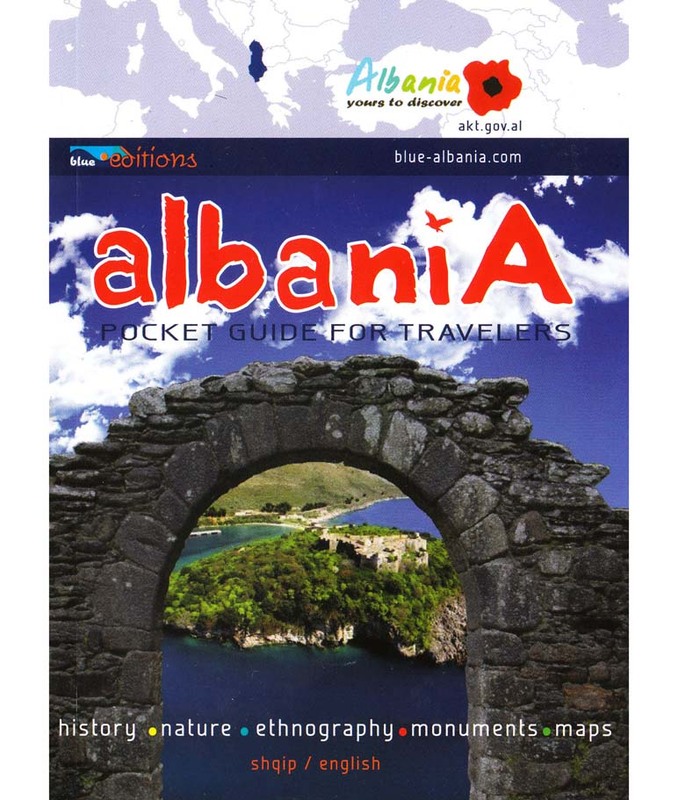 Vlorë-Vuno or Himarë-Vuno itinerary. The circle of the Old Woman. Brataj, about 800 m above the sea level, shaped as a seal with three circles, in limestone formed by karst. Vlorë-Kotë-Brataj-monument. Narta dunes. The are a group of dunes 5-6 m high and 20-30 m wide. Covered by vegetation, grass, shrubs, pine-trees planted 50 years ago. Kriporja-Narta Coast itinerary. The Delta of Palasa stream. Constitutes in a cone formed by stream deposition, the largest in the country, with length 900 m, while the cone base is about 2 km, where is the gritty beach. Vlorë-Llogora-Palasë itinerary. St. George Cave On the slope of Çika, known as "bee's Cave", of the "Red rock. Established by karst in limestone, 100 m long, 3-5 m high. About 8 m below the cave entrance, is an ancient wall. It is believed that the cave had been used by the Illyrian queen Teuta. Vlorë-Kotë-Tërbaç-cave. Ramica Cave. Shushice, 1000 m above the sea level. Established by karst in limestone, consists in shrinkings and extensions with a size of 10-15 m. Vlorë-Kotë-Ramicë itinerary. Velça Cave. Brataj. Established by karst in limestone, consists in shrinkings and extensions and it has microforms. Several meters long, 5-7 m wide and high. Known as settlement of neolithic human, still unexplored. Vlorë-Kotë-Velçë itinerary. Boderi Cave. Shushicë, 800 m above the sea level. Established by karst in limestone, is has two floors, about 200 m long, 10-15 m high and wide. Vlorë-Kotë-Smokthinë itinerary. The Cave of Haxhi Alia. Karaburun between the Gjuhëza and Goloveci Capes. Established by karsti in limestone over 30 m long, 10-15 to 10-12 m high and wide. The name is connected with the sailor named Haxhi Alia. 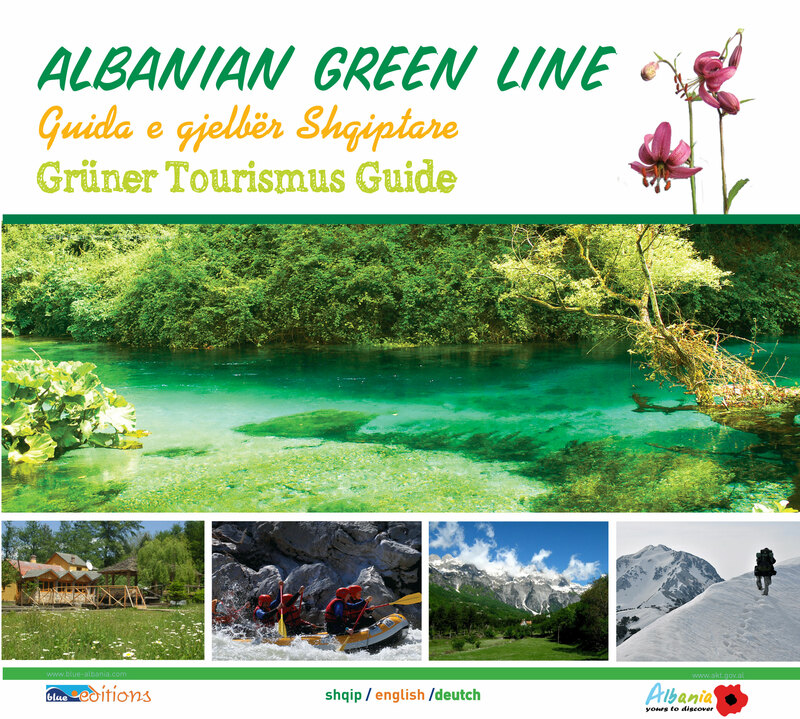 Vlora-Gjuhëza Cape itinerary. The Written cave of Lepenica. Brataj. Established by karst in limestone, where many ancient drawings are extended on the walls. Vlorë-Kotë-Lepenicë-cave. Bilbilejve Cave. Small group of caves in limestone karst in the mountain of Çika, near Tërbaç, Vranisht. Recognized and named as the Caves of Peshnja. These men were sheltered by the invaders. Vlorë-Kotë-Tërbaç-Peshnjë. The Cave of Porto Palermo. In the bay of Palermo. Karst cave, less known. Himara-Porto Palermo itinerary. The Cave of Pirates. Situated near the marine cliff of the Monastery of St. Teodor. It is karst cave. The pirates were sheltered there with small boats. A rock divided into two parts blocks the access. The the beach of Dhermi. Seriani Cave. Situated in the town of Himara. Recognized and named "Cave of Odisea”. . It is known karst cave 20 m long, 7-8 m high and wide. Dukgjoni Cave. In the Gulf of Bristani. It is a known karst 30-40 m long, 20-25 m wide and high, with water puddles, concretions etc. Orikum-church of Marmiroi- Foot of the Canal itinerary. The Hole of Vranishti. Bogonic mountain, 1000 m above the sea level. Represents extended karst hole. Vlorë-Kotë-Vranisht itinerary. The waterfall of Ramica. Brataj. Known and named as "Fell down water”. Formed by the sream o f Ramica, in limestone rocks, 10-12 m high. The water falls into a pit about 1.5 m deep. Vlorë-Kotë-Ramicë-Gjinoçicë itinerary. The salty Source of Bashaj. It is a source of salt karst. It seems that during the road traverses underground salt layers. Vlorë-Kotë-Bashaj itinerary. The Limopuo Lagoon. Situated near the village of Zvërnec. It is coastal lagoon with high biodiversity of salt karst. Vlorë-Forest of Soda-Zvërnec itinerary. The Plane-tree of Old Tragjas. The Plane-tree of Shënvarvara in Velçë. The Plane-tree of the Mosque.